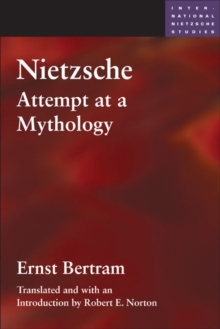 First published in 1918, Ernst Bertram's Nietzsche: Attempt at a Mythology substantially shaped the image of Nietzsche for the generation between the wars. 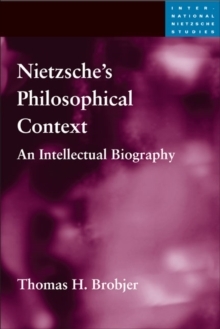 It won the Nietzsche Society's first prize and was admired by luminous contemporaries including Andr\u00e9 Gide, Hermann Hesse, Gottfried Benn, and Thomas Mann. 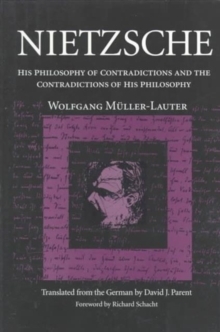 Although translated into French in 1932, the book was never translated into English following the decline of Nietzsche's and Bertram's reputations after 1945. 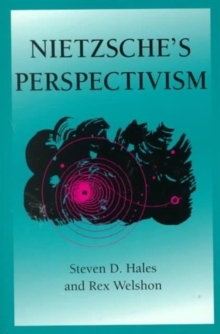 Now, with Nietzsche's importance for twentieth-century thought undisputed, the work by one of his most influential interpreters can at last be read in English.Employing a perspectival technique inspired by Nietzsche himself, Bertram constructs a densely layered portrait of the thinker that shows him riven by deep and ultimately irresolvable cultural, historical, and psychological conflicts. 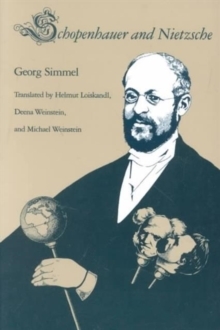 At once lyrical and intensely probing, richly complex yet thematically coherent, Bertram's book is a masterpiece in a forgotten tradition of intellectual biography.